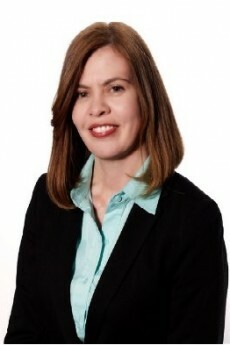 Liz Martis, Director of Human Resources is an accomplished HR professional with over 15 years of experience with large, mid-sized, and small companies providing strategic leadership to senior leaders in a variety of industries including banking, technology, pharmaceutical, logistics and non-for-profit. She has extensive experience working with Human Resources Information Systems (HRIS), developing HR processes and policies, HR metrics, talent acquisition and management, employee relations, performance management, benefits administration, career development, training, payroll, compliance and employment law. In her previous roles, she has actively worked with business leaders nationwide to restructure HR operations. Her accomplishments include the successful implementation of new technology to streamline HR and payroll processes to increase organizational agility; evaluated and implemented a web-based performance review system to drive business objectives and organizational changes; acted as a change management agent to help end users undergo changes in technology and processes; automated the recruitment process and re-designed the volunteer program to support business growth; worked closely with benefit brokerage to lower health care premiums; and implemented HR metrics for insightful analytics to drive informed business decisions. Liz earned a Bachelor of Science in Business Administration with a major in Management Information Systems, a Master Degree in Human Resources Management and is a member of the Society of Human Resources Management.